Hi everyone! I just got back from a wonderful tour of Quebec and Ontario in Canada, during which we playing eight shows across five cities. 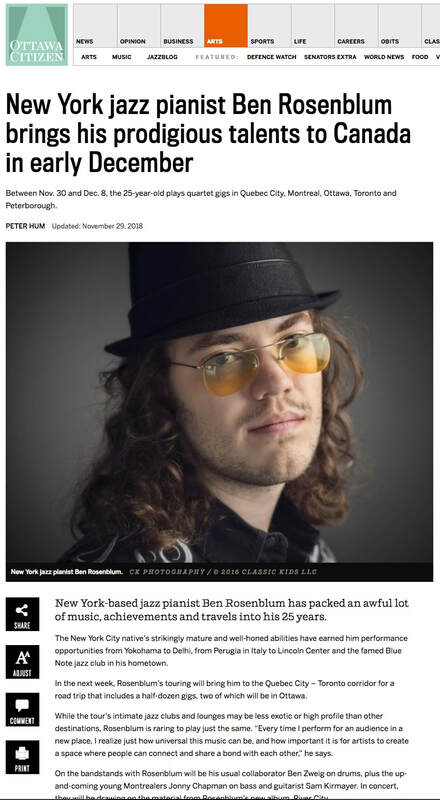 While on tour, I was very excited to see a number of great articles promoting the band and our music, including this beautiful feature by Peter Hum for the Ottawa Citizen. A huge thanks to Peter and everyone else who wrote about us and helped generate buzz for the tour. Below are some links to read articles about the band, in three different languages! While I was in Canada, this great interview I did with WNUR's Geoff Fenton went live as well. We talk about the new album, River City, as well as my career this far and my plans for the future. Check it out! Geoff's daughter Sara did all the editing, and I'm so happy with how it came out. 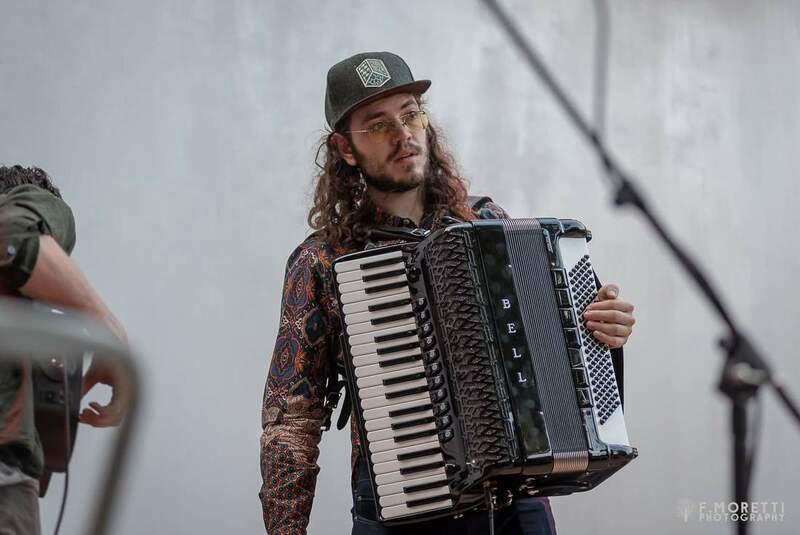 Upcoming Midwest Tour: Ravinia and More! Midwest Tour: Chicago, South Bend, Detroit and Lansing! To celebrate the launch of my second album, River City, I will be doing a number of tours with my trio over the next six months. The first tour on the schedule is a return trip to the Midwest from October 12th-16th. This tour will feature appearances at some of our favorite venues from the previous tour: Merriman's in South Bend, Cliff Bell's in Detroit and Moriarty's in Lansing. I am also particularly excited to be debuting at an incredible performing arts center in the Chicago area called Ravinia. On October 13th at 8:30pm, we will be performing at Ravinia's beautiful Bennett Gordon Hall. On the afternoon leading up to this, I will also be doing a special solo accordion performance of material from Tchaikovsky's Swan Lake as part of a plaque dedication at the Legacy Walk in Chicago. This tour promises to be an incredible time, and I can't wait to see all my friends in the area! Click on any of the links above to see more info about each performance. 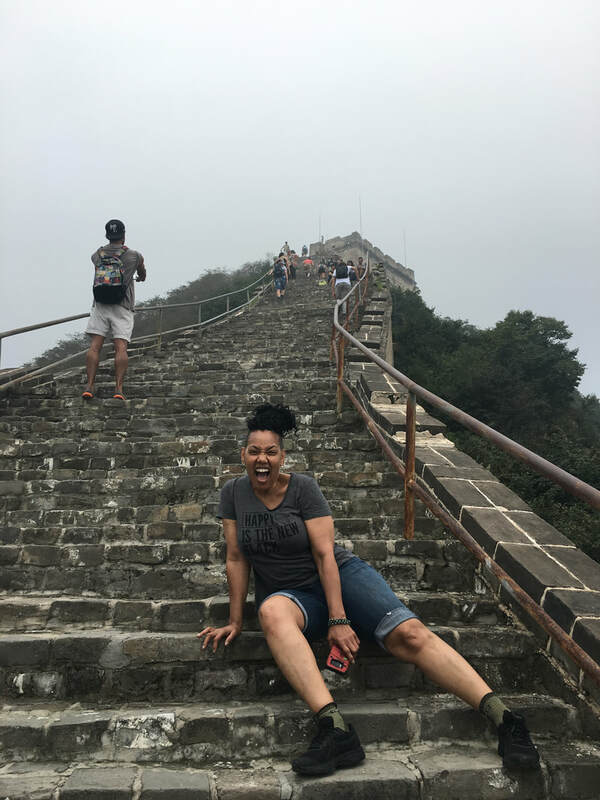 Thanks to the incredible Deborah Davis, I had the opportunity to visit and perform in Beijing, China to round out a wonderful and busy summer. 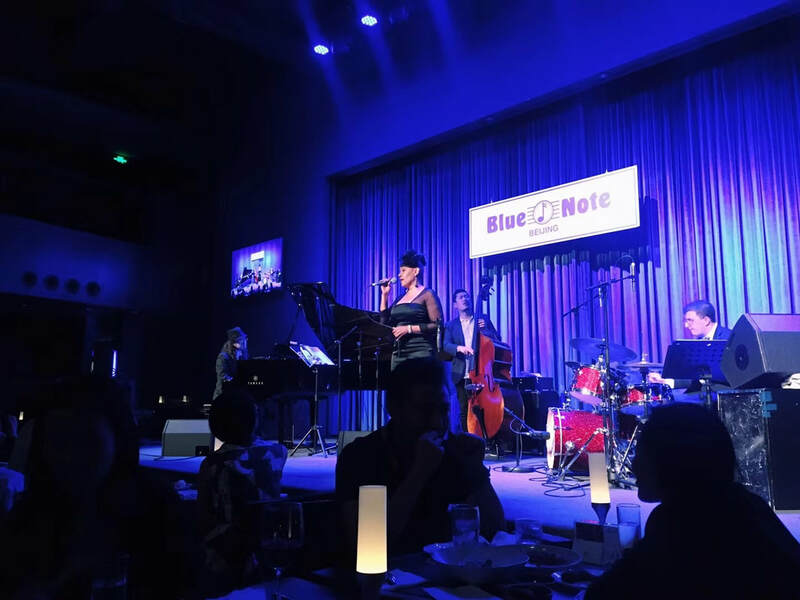 We played at the beautiful Blue Note Beijing for two nights, and we also had a few days to explore the city together as a band, and travel to a section of the Great Wall. 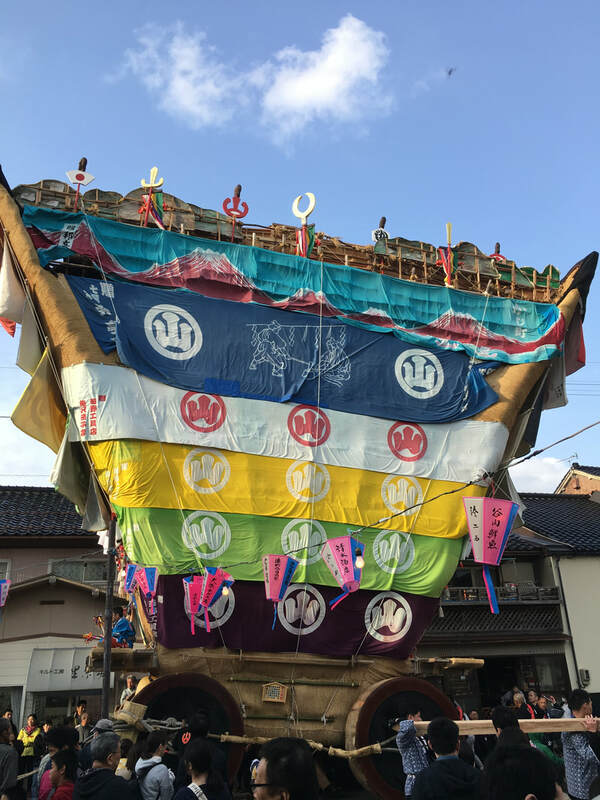 I feel so fortunate that I got to experience this magical culture for the first time, and I'm already excited to go back. 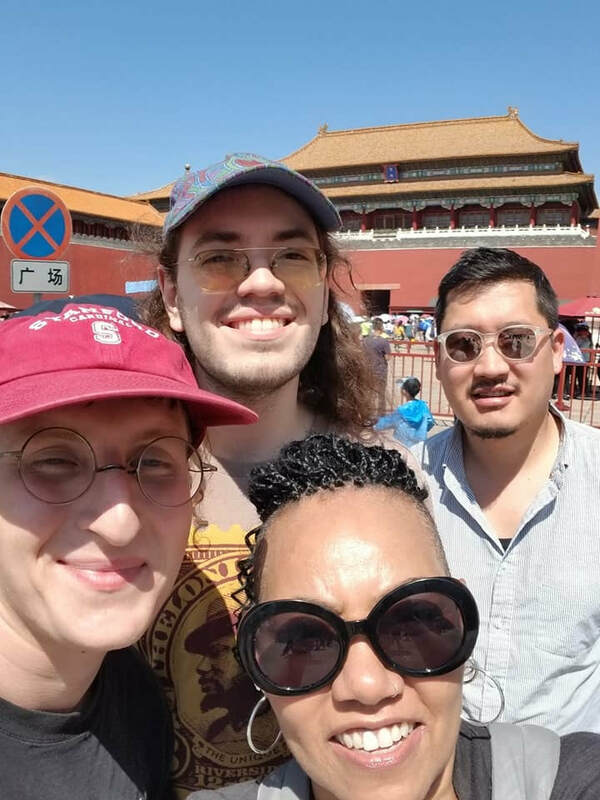 Thanks for everything, Beijing! Hi everyone! Hope the summer is going well. 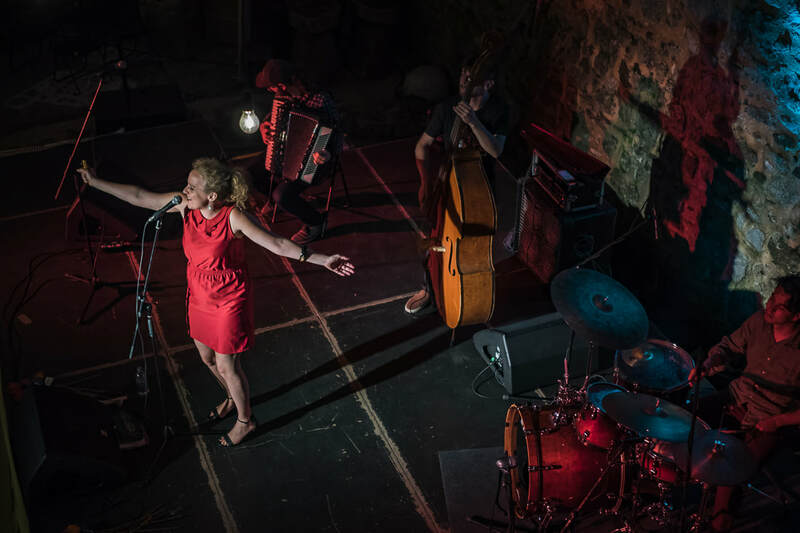 I just returned from a three week tour of Europe with Astrid Kuljanic's Transatlantic Exploration Company, where we traveled across Croatia, Italy, Serbia and Slovenia. 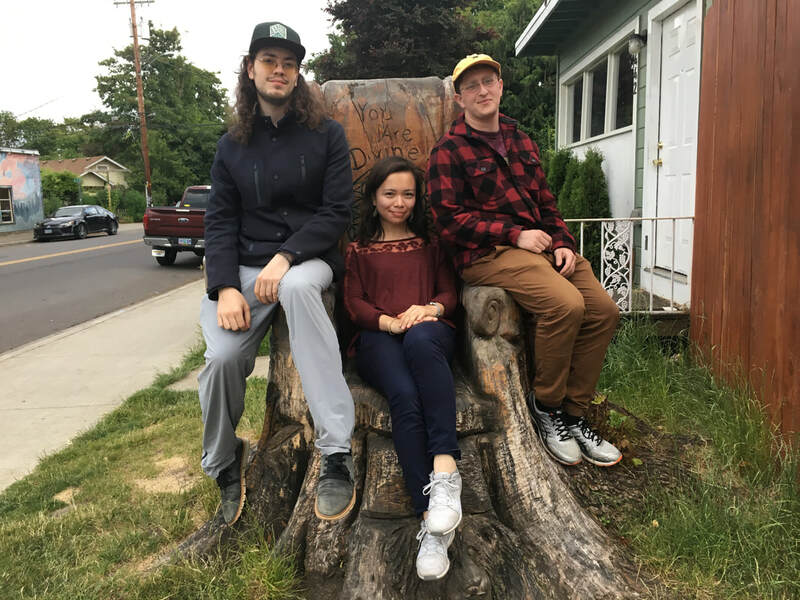 Before that, in June, I was with my trio on a extensive West Coast tour that began in the islands of Northern Washington and took us all the way down to Los Angeles. It's been a crazy summer full of magical experiences, and I wanted to share some pictures from the past two months of touring now that I am back in New York City for a few weeks. For those of you in New York City, I have some exciting shows coming up, including an appearance with my trio at the Kitano on August 8th. Hope to see you there! 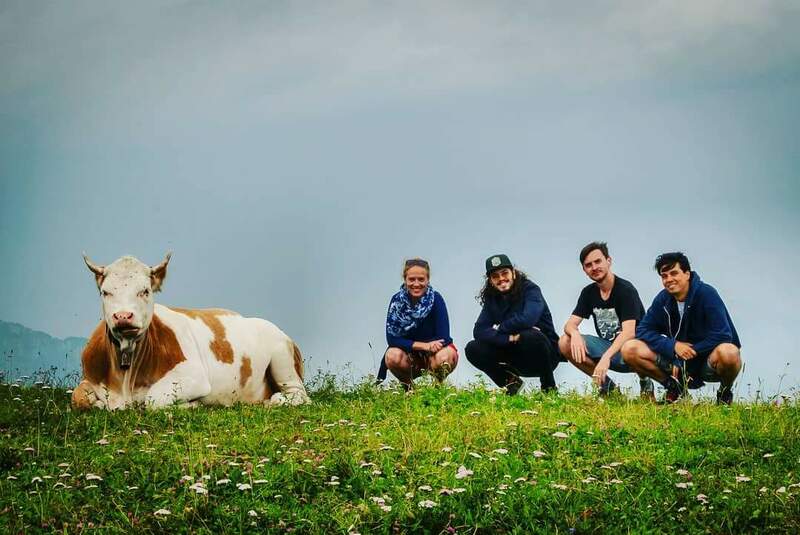 A huge shoutout to all of the incredible photographers who sent me their photos throughout our trips: Francesco Moretti (first, seventh and last), Mike Stempe (second and third), Silvio Selman (fourth and fifth) and everyone else! 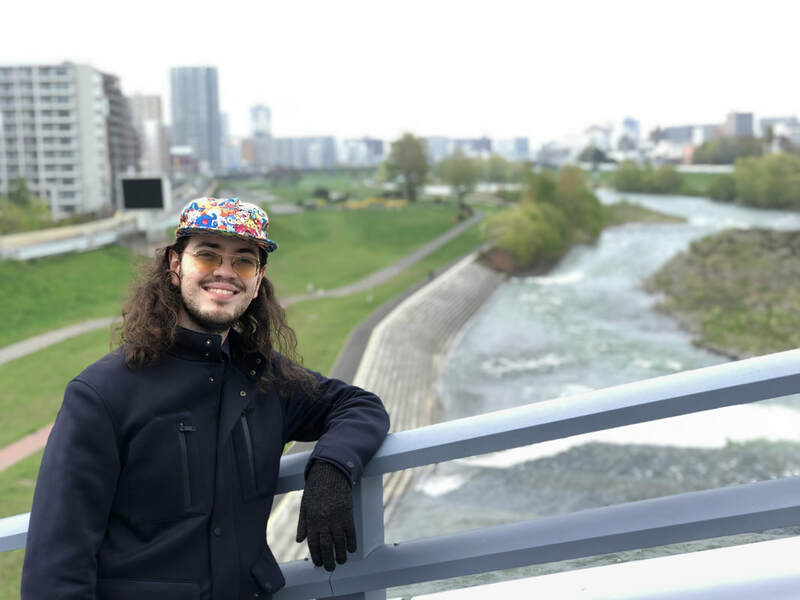 I just returned from Japan a week ago, and I'm still overwhelmed by how incredible our trip was. 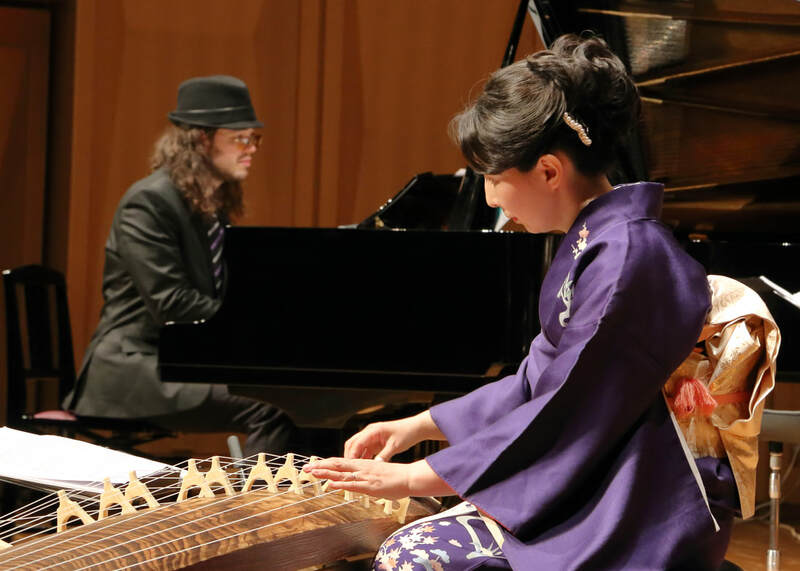 Visiting Japan has always been a dream for me, but to do so with my trio and perform in eight cities all over the country was nothing short of magical. 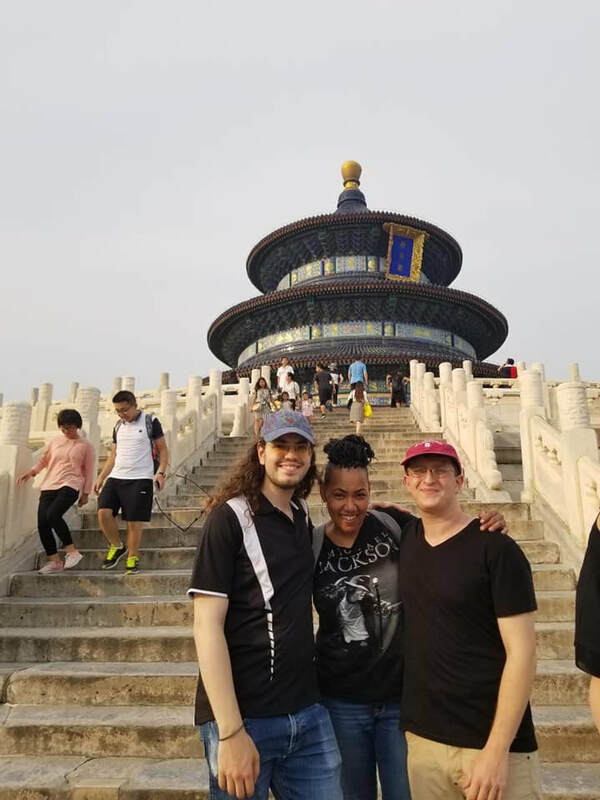 I experienced some of the most amazing food and hospitality of my life in this twelve day journey, and I had the pleasure of meeting a multitude of fantastic musicians and music lovers, all of whom I hope to see again whenever we next have the opportunity to perform in Japan. 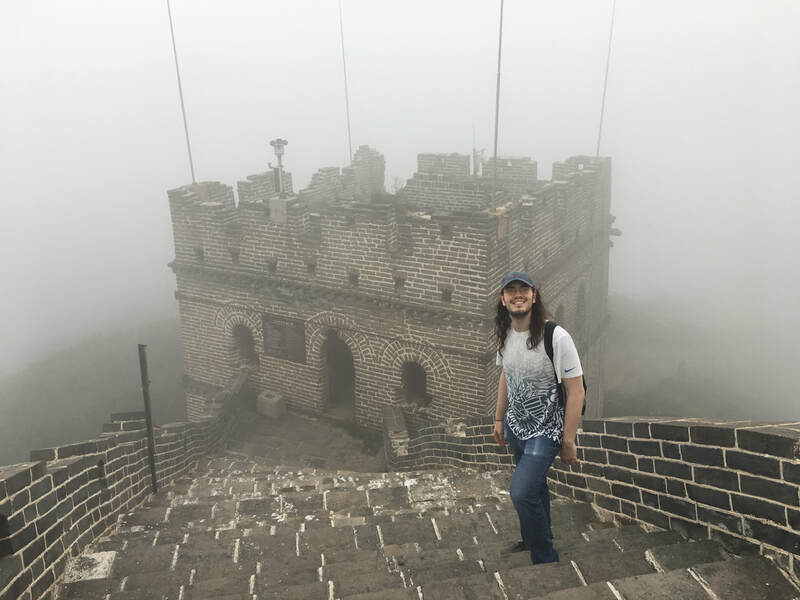 I wanted to share some pictures from the trip so that all of you could share a part of this experience with me. 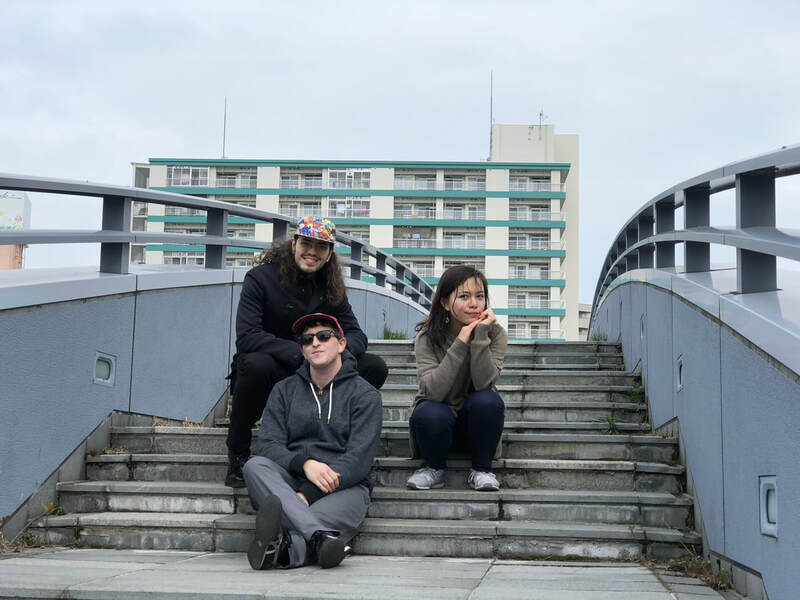 Below are some pictures that I took along the way, as well as some great photos taken by Kazuo Goshima (first one), Shin Yamazaki (fourth and sixth) and Mitsuru Mendenhall. 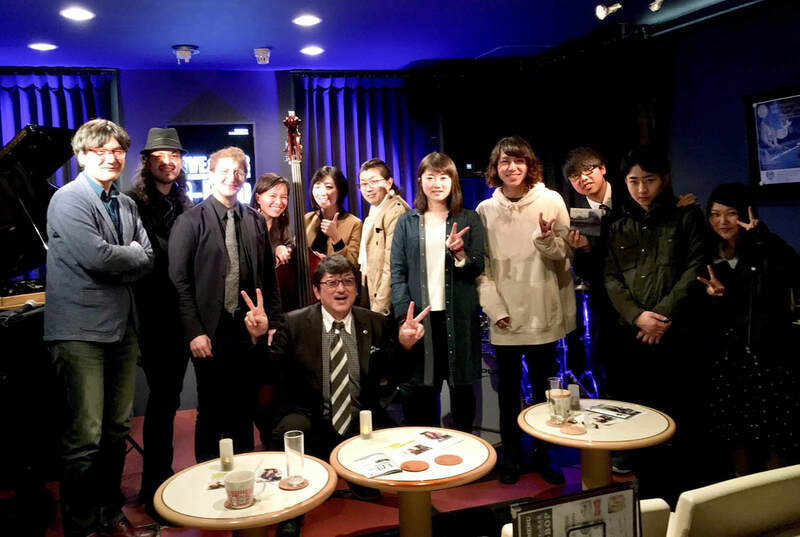 These photos feature my wonderful bandmates Kanoa Mendenhall (bass) and Ben Zweig (drums), as well as our extraordinary special guest in Yokohama, Watanabe Yuko-sensei (koto), and a host of musicians who sat in with us at Koji Matsuura's awesome jazz club in Sapporo, D-Bop (third photo). A huge thanks to all of the venues that hosted us and all of the people that made this trip possible. We hope to be back very soon! 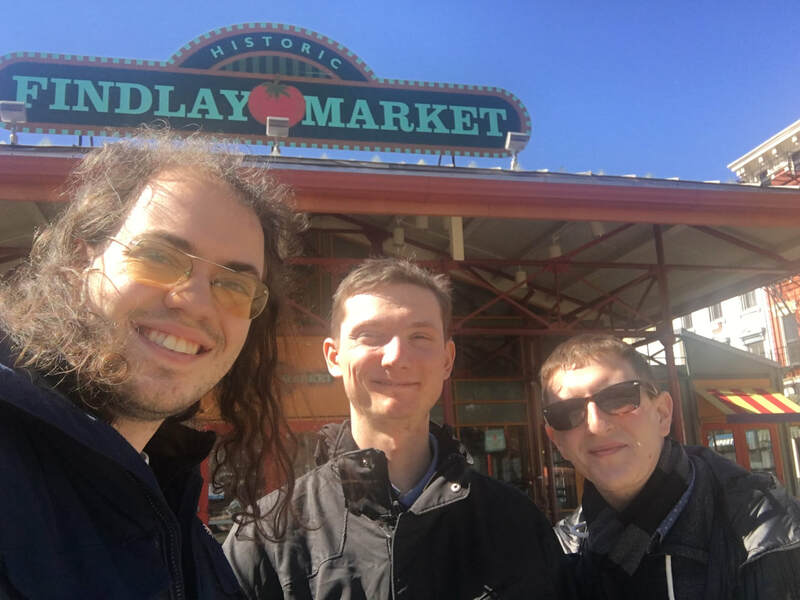 Midwest and Canada tour photos! Hi everyone! Just got back to New York City and had an absolute blast on the road. We met so many new friends and music fans on the road, and we're incredibly excited to go back this Fall. Here are some pictures from the tour! 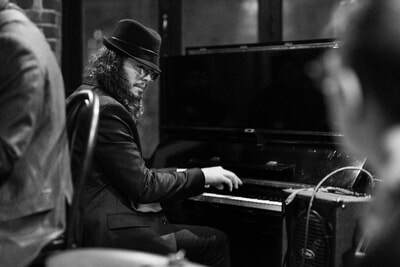 A special thanks to Daniel Tremblay for the black and white photos. 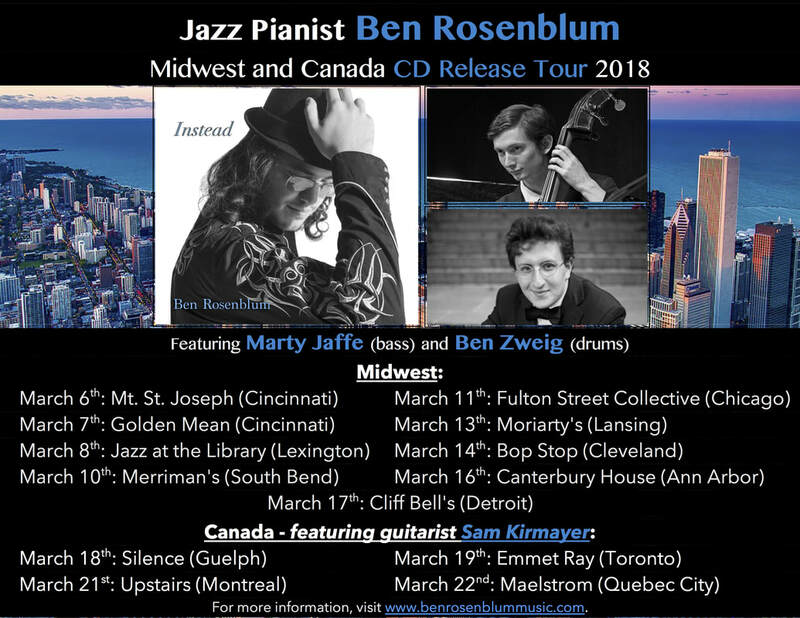 March Midwest and Canada CD Release Tour! Our first stop is a performance and Q&A session at this burgeoning university in Cincinnati. This event will take place in their Music Wing at the Recital Hall, and is open to the public. Our second performance in Cincinnati will be at this cool musician-run venue on the 5th floor. The date will feature an opening set by some talented local musicians. 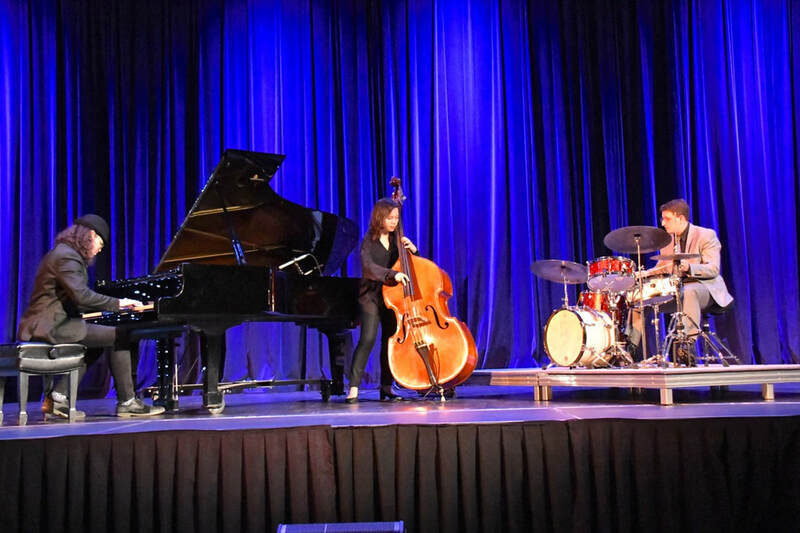 This once a month Thursday jazz series at the Farish Theatre is hosted by the Jazz Arts Foundation and has been going strong for a number of years. We are happy to be their 131st performance. This venue is a beautiful listening room hosted by an incredibly dedicated and passionate couple, Mr. and Mrs. Merriman. 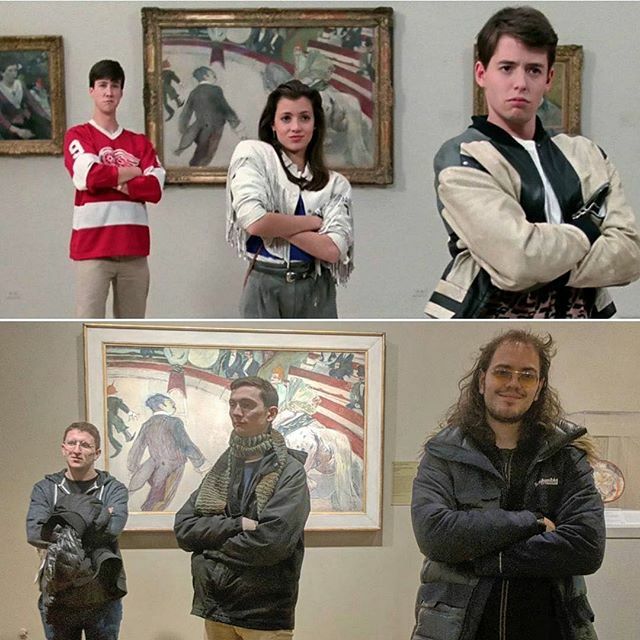 Stay tuned for our preview article in the South Bend Tribune! This hip spot in Chicago hosts a great concert series where groups choose a jazz album and play through the material in its entirety. I'm excited to host our Chicago CD Release concert here, and also looking forward to visiting WNUR beforehand for a live interview at 5:00pm. 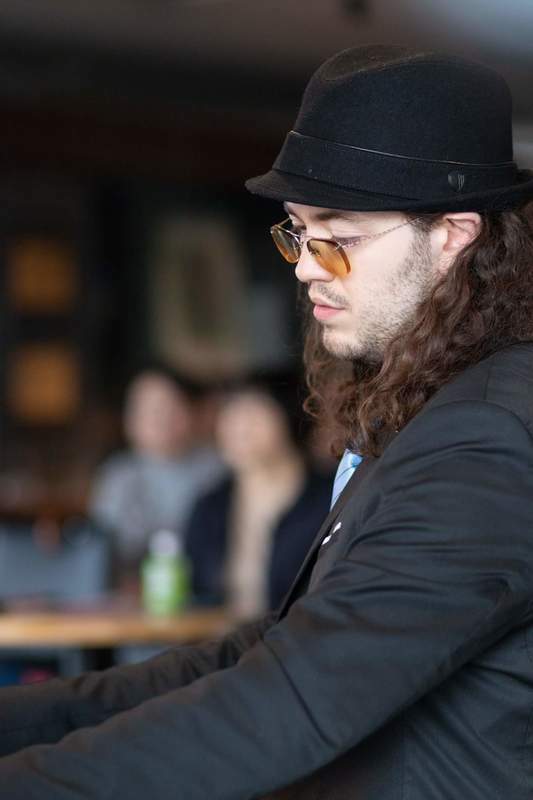 This weekly series in Lansing hosted by Jeff Shoup is famous in the local jazz community. I'm happy to be stepping in to host for the night. This venue run by the Music Settlement has some of the coolest, most varied programming of any venue around. This is a true listening room with great acoustics and an intimate atmosphere. After an opening set at 8:00pm featuring talented local musicians, we will take the stage for our set at this weekly concert series hosted by the Episcopal Church at the University of Michigan. This club is iconic in the Detroit jazz community. 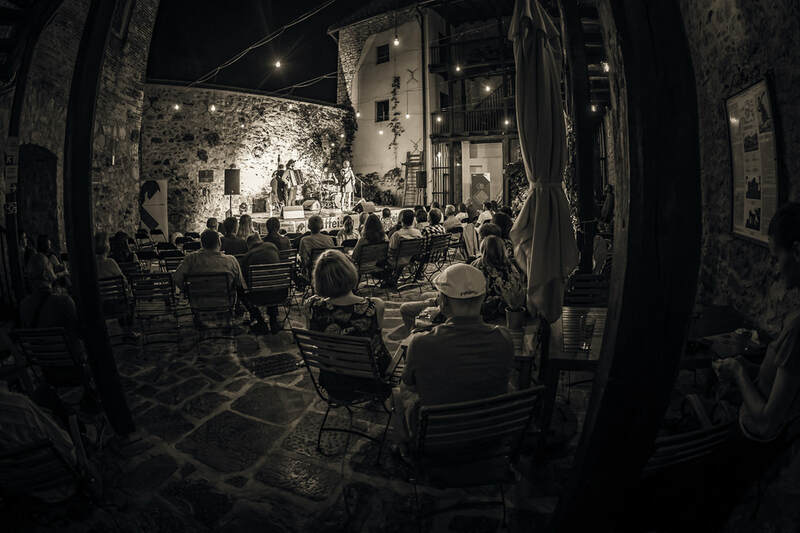 Featuring jazz seven nights a week with a variety of different high-level acts, this place is one of the most well-respected venues in the area. Our first stop in Canada is a matinee performance at this wonderful listening room in Guelph. This is another venue that features diverse, bold programming in a wide variety of different arts. For the Canada portion of our tour, we will be joined by acclaimed Montreal guitarist Sam Kirmayer. Our Toronto stop takes us to this chill spot with consistently high-level live music and other special events throughout the week. One of the premier venues for jazz in Montreal, Upstairs Jazz is a special place to listen to music and enjoy the atmosphere. This is another venue that has music every night of the week. Our final stop takes us to Quebec City, where we will be performing at this hip cafe. 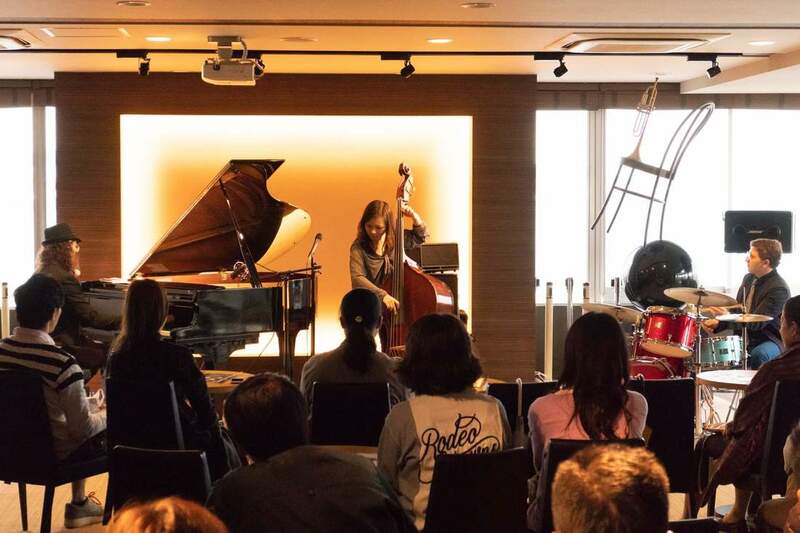 The event is part of a jazz series hosted by Arté Boréal. Happy New Year and hope all is well. 2017 was a very busy year for me, and I'm happy to have reached a number of exciting milestones: releasing my first CD as a leader, traveling to Europe, touring the West Coast and collaborating with so many wonderful friends and musicians. 2018 is shaping up to be a crazy year as well, and I can't wait to see where music will take me. 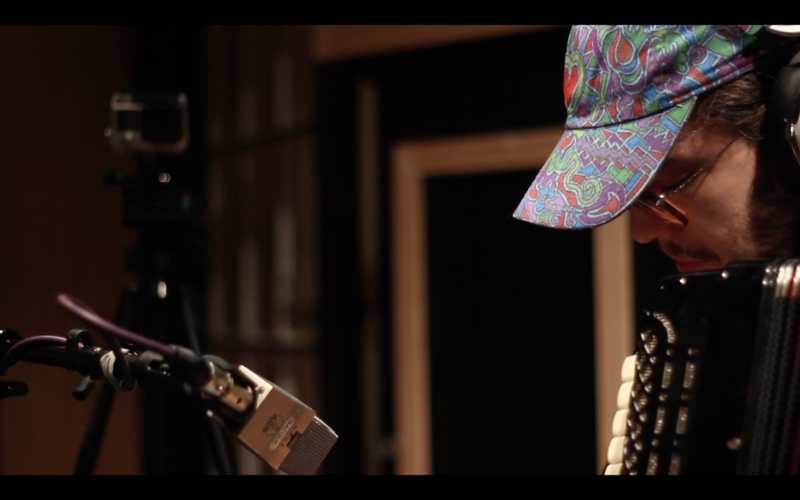 Thank you all for your continued support of my music, and I'm so glad I get to share what I'm doing with all of you. I'm very excited to start the new year with one of my favorite singers out there, Deborah Davis. 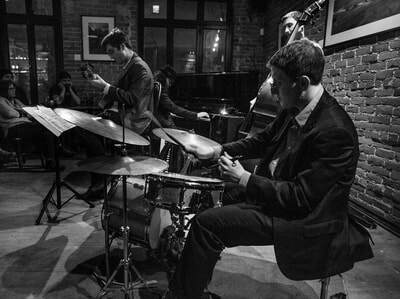 First, we perform at the famous jazz club Smalls in the West Village on Sunday, January 7th from 7:30-10pm. This club is always packed and full of music lovers, so it's a great atmosphere for music making. Then, on Friday, January 26th, we will be performing at a newly opened venue called Sound Bite! Sets will be at 7:00pm and 9:00pm. 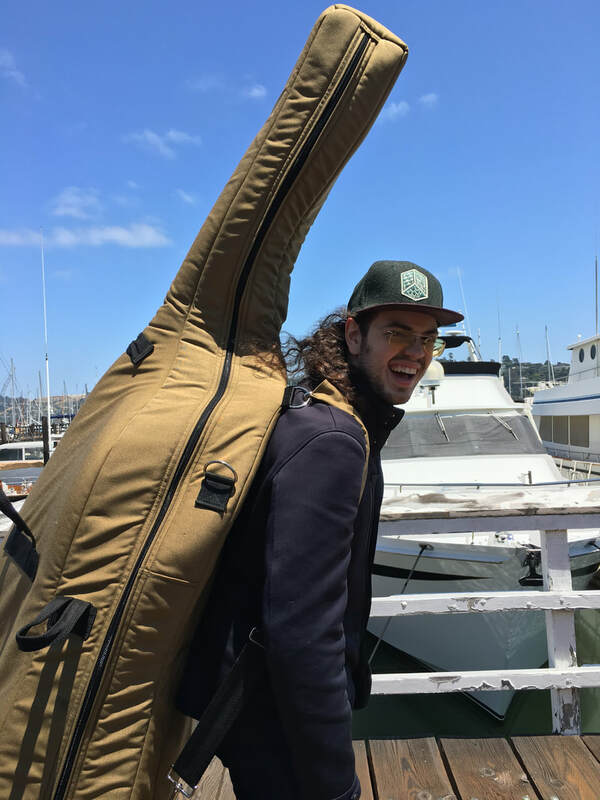 For both shows, we will be joined an all-star lineup of musicians: Corcoran Holt on bass and Ben Zweig on drums (1/7) or John Webber on bass and Willie Jones III on drums (1/26). For more information on our Smalls appearance, visit their website here. 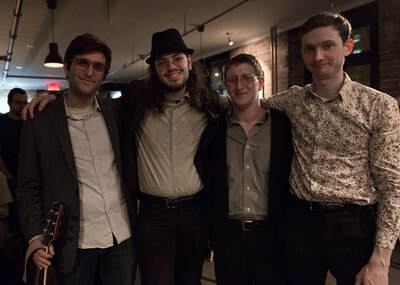 Ben Sutin's Klezmer Jazz project Klazz-Ma-Tazz will return to Club Bonafide in Midtown on Wednesday, January 10th at 7:30pm. We're continuing to build hype for our upcoming second album, which will be released this coming spring. 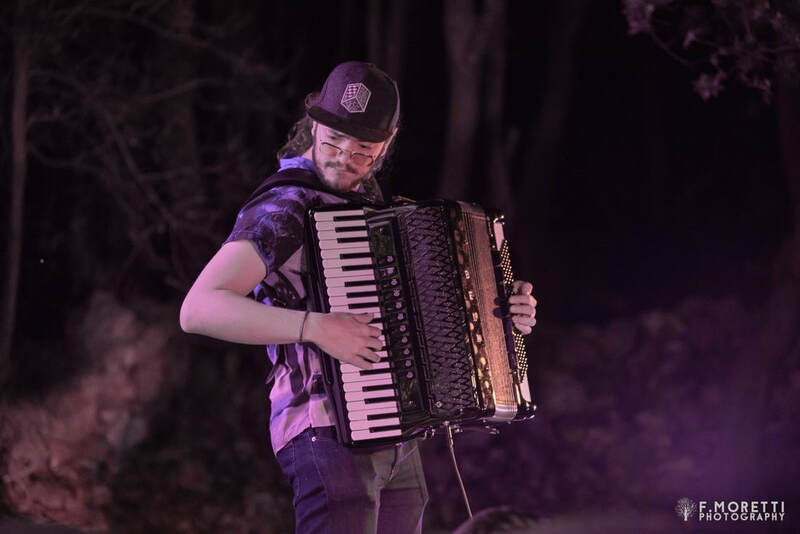 Stop by for a wild fusion of genres, high-energy acoustic dance music and crazy arrangements of familiar tunes. More information can be found here. At the end of the month, I'll be traveling to Cape Cod to visit my grandfather, who is celebrating his birthday. While I'm there, I'll be doing a performance inspired by my grandfather's lifetime, as well as the 100th anniversary of the first jazz recording in 1917. This solo piano program will travel all the way back to the beginning of jazz, stretching through time to the present day. This show will take place at the Cape Cod Cultural Center on Sunday, January 28th at 2:00pm. I'm looking forward to it very much! You can find more information on their website. 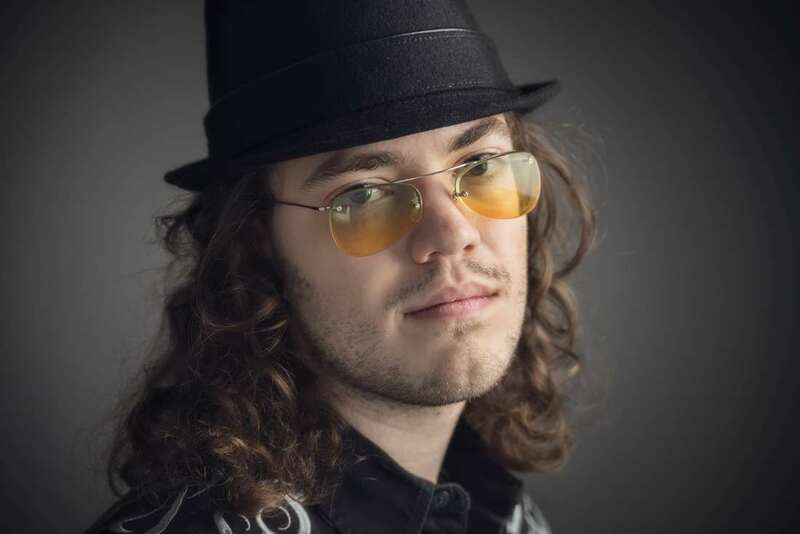 As always, you can find the most up-to-date listings of where I'm playing on my schedule page. I'll be making some NYC appearances with Michael Sheridan's Quartet, and continuing to hold it down with the legendary Curtis Lundy at Orama in Edgewater, NJ every Thursday from 7:30-10:30pm. November News! 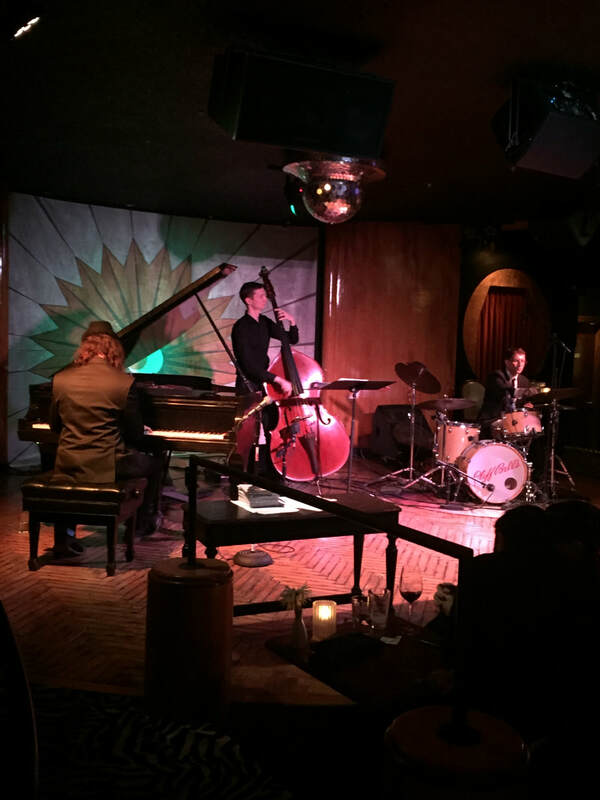 Trio at the Kitano and more. 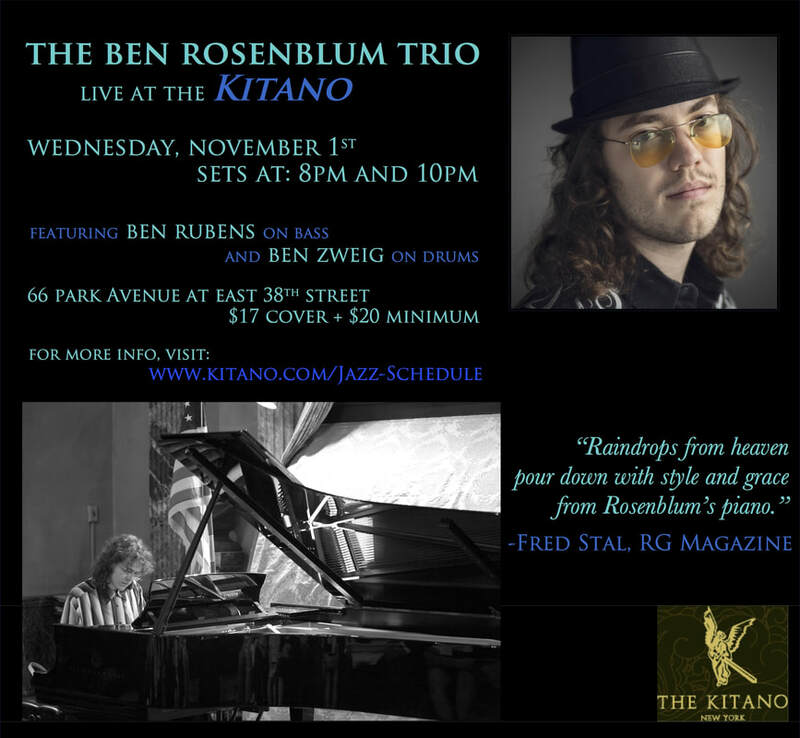 This Wednesday, November 1st (sets at 8pm and 10pm), I'll be bringing my trio back to one of my favorite venues, The Kitano in Midtown Manhattan. 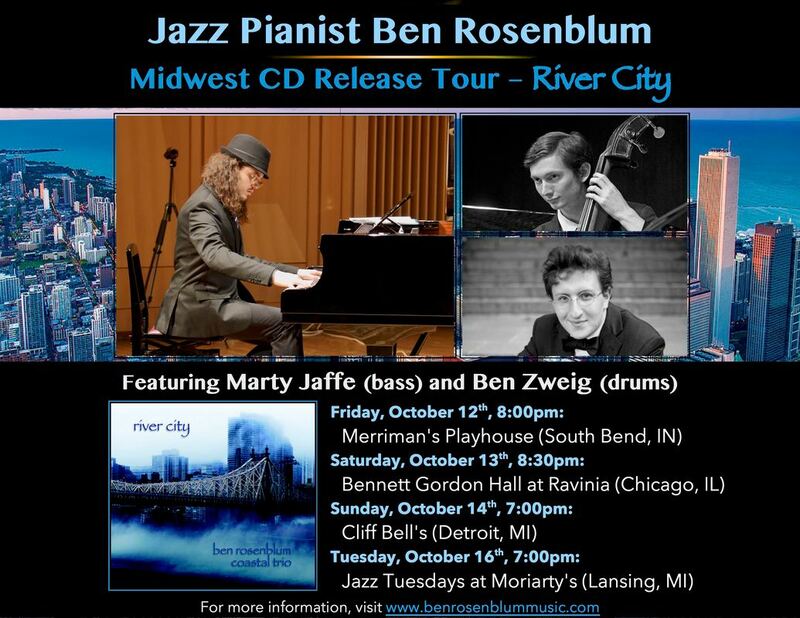 This show is particularly special because I will be joined by two of my best musical friends, Ben Rubens on bass and Ben Zweig on drums. 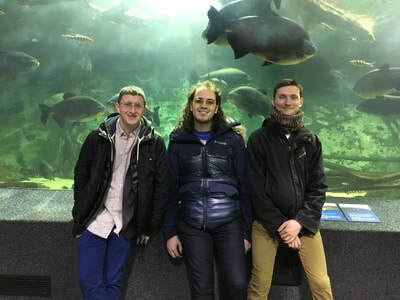 The Bens and I have been playing together as a trio for almost seven years now, and it's always a joy to play with them. 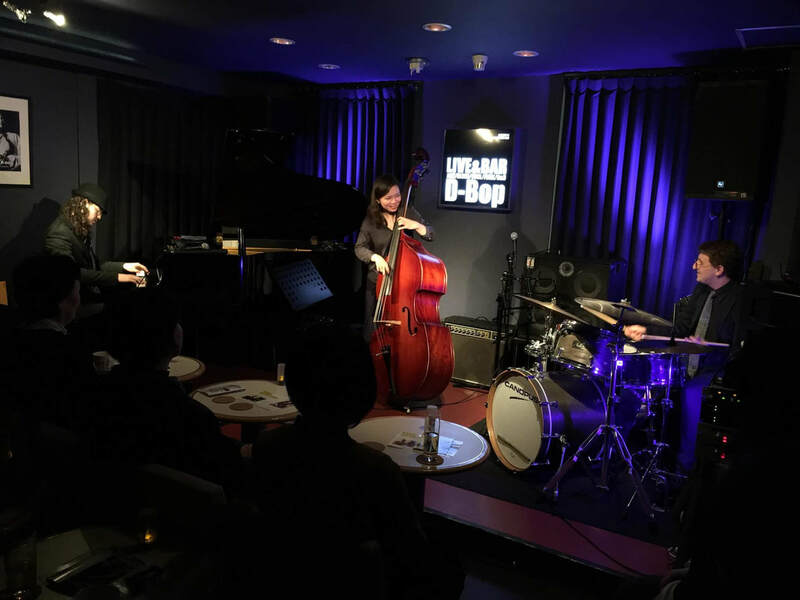 For more info, visit http://www.kitano.com/Jazz-Schedule. 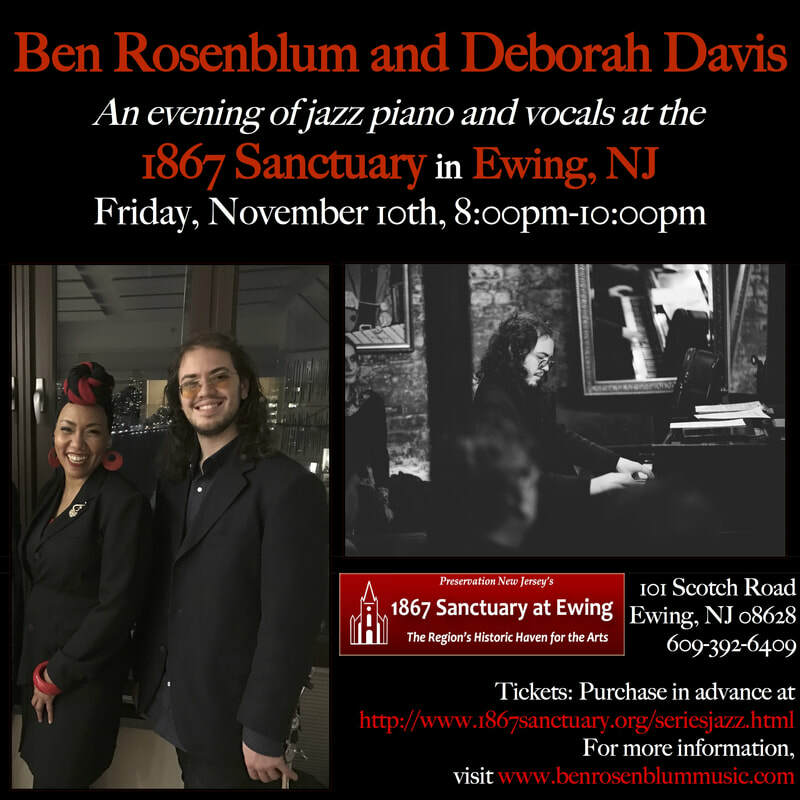 On Friday, November 10th at 8pm, the great jazz vocalist Deborah Davis and I will perform at the beautiful 1867 Sanctuary in Ewing, NJ. This is my second performance at the 1867 Sanctuary after my solo piano concert here in July. I love what they do here, and I'm very happy to be returning for an intimate show with one of my favorite singers. we will record as a group, and it's going to be a great time. 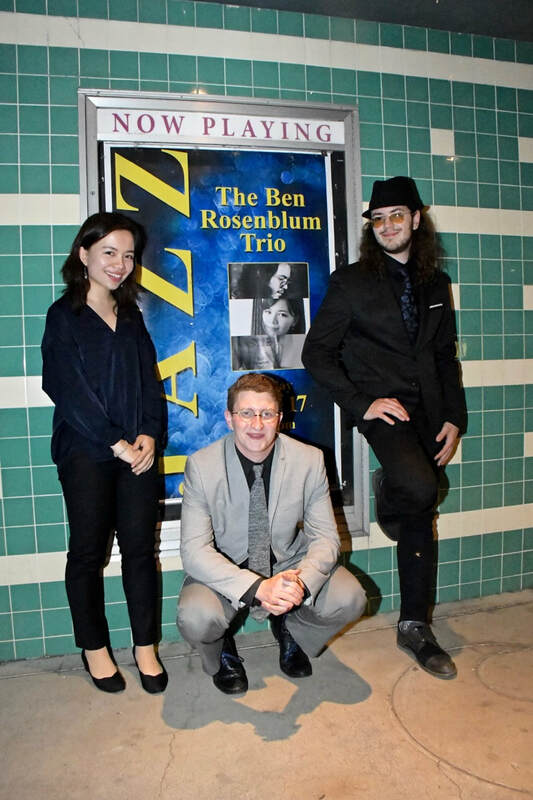 In case you don't know anything about this group, you can learn more us at http://www.bensutinmusic.com/klazz-ma-tazz. 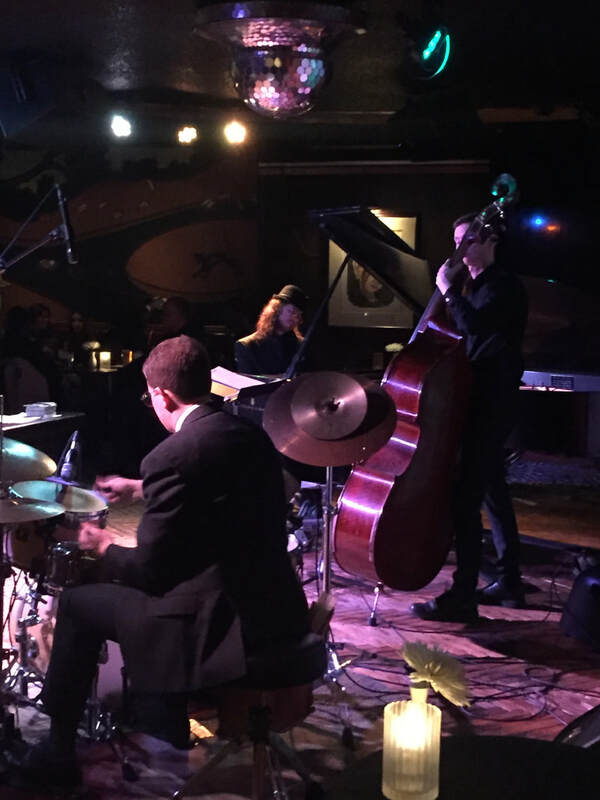 I will also be continuing my weekly Thursday residency with jazz giant Curtis Lundy at Orama in Edgewater, NJ (we are off this coming Thursday, but we will be returning on Thursday, November 9th). On Tuesday, November 7th, I'll be at Minton's with drummer JC Polo's Latin Jazz project, and I'll be making a couple appearances with singer Katini Yamaoka and guitarist Michael Sheridan. 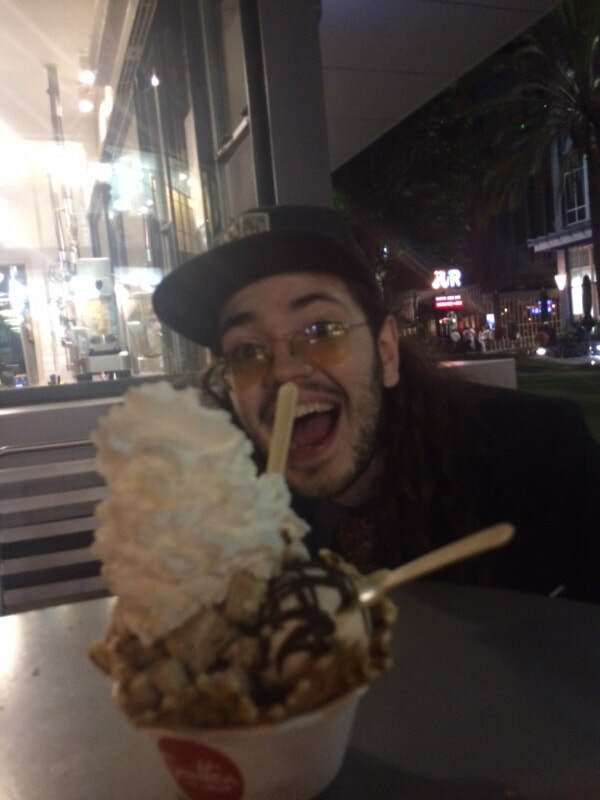 As always, you can check my schedule at https://www.benrosenblummusic.com/schedule.html for the most up-to-date information about upcoming performances. Thanks for your continuing support, and all the best!